The Selected Traffic Enforcement Program (STEP) for the month of April will focus on speed. As driving conditions improve with the weather each spring, the police service experiences as surge in complaints related to speeding. Speed is one of the main contributors to serious injury and fatality collisions with nearly 1 in 4 collisions in Alberta involving motorist who are driving too fast. Each year, dozens of people are killed and hundreds injured as a result of speeding on Alberta roads. 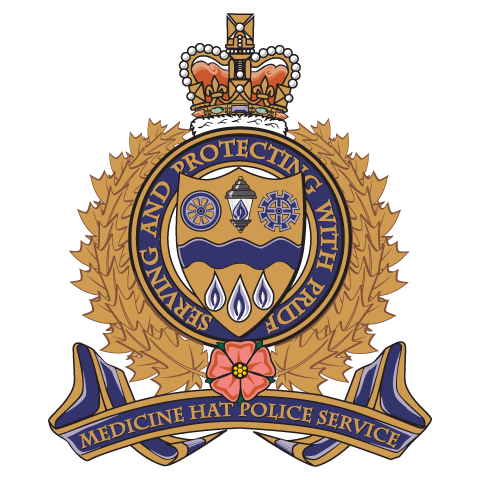 The goal of the Medicine Hat Police Service Traffic Safety Plan is to reduce injuries and prevent fatalities on Medicine Hat roads, and a big part of achieving this goal involves conducting speed enforcement through a combination of conventional enforcement and Automated Traffic Enforcement. During the month of April police will be setting up additional speed enforcement sites and monitoring locations that statistically see higher than average speeds. Motorists are reminded that all roads within the City of Medicine Hat have a 50kmh limit, unless otherwise posted, and 30kmh playground/school zones are in effect from 7:30am to 9:00pm daily. Also, motorists must slow to 60kmh or the posted speed limit, whichever is lower, when passing emergency vehicles or tow trucks that are stopped on the side of the highway. Roadside issued fines for speeding range from $78 to $474 and include demerits ranging from 2 to 6 points. Offences for speeding 50kmh over the posted limit will result in the offender being compelled to court to face substantial fines and a driver’s licence suspension. Fines for speeding past emergency vehicles or in construction zones are doubled. April BEEP - Focus on Responsible Pet Ownership on the Trails. 32. (1) if an Animal defecates on any public or private property other than the Owner’s Property, the Owner shall remove the feces immediately. (2) An Owner of a dog shall carry a suitable means of removing dog feces at all times while the dog is in the custody of the Owner on property other than the Owner’s Property. When pet owners fail to pick up after their pets it creates risk to health for other pets, its makes our trail system less desirable and promotes others to follow suite. Due to the vast areas and number of beautiful places to walk with pets it is very difficult to pin point where to start with enforcement. The Municipal Enforcement section would like to encourage and thank all pet owners for their cooperation and cleaning up after pets. If you see an offence occur, please contact us at our non-emergency line at 403-529-8481, depending on the information you provide we may be able to issue tickets for the offence. Our Parks and Trail Ambassadors along with Bylaw Officers will be looking to see people picking up, so let’s all do our best to continue to contribute to the beauty of the City of Medicine Hat. For more information on this program, Heather Trail, the Peace Officer in charge of Municipal Bylaw Enforcement, can be contacted at 403-529-8436.